Houston, TX construction world for almost three decades. 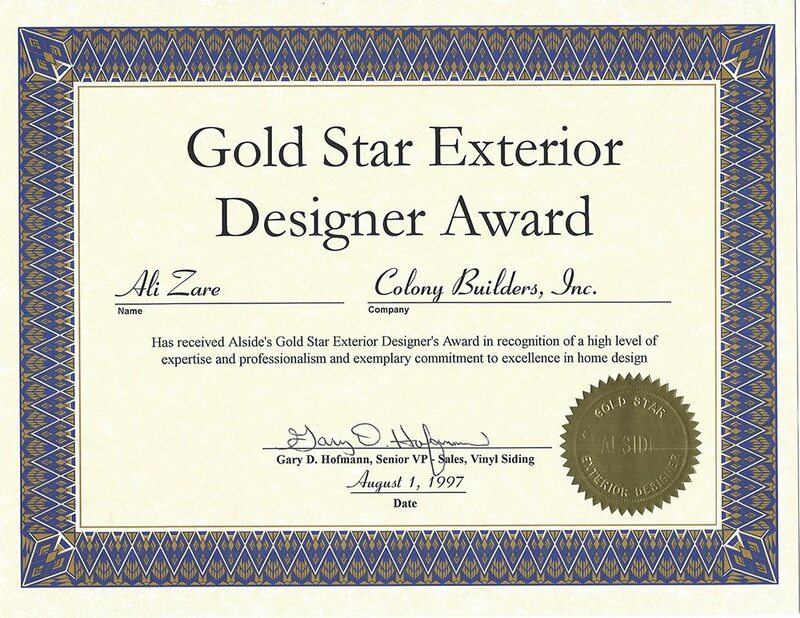 Ali Zare founded Colony to be a customer-focused construction company, that would work with the best and brightest craftsmen with the best available materials to create a truly stunning space. 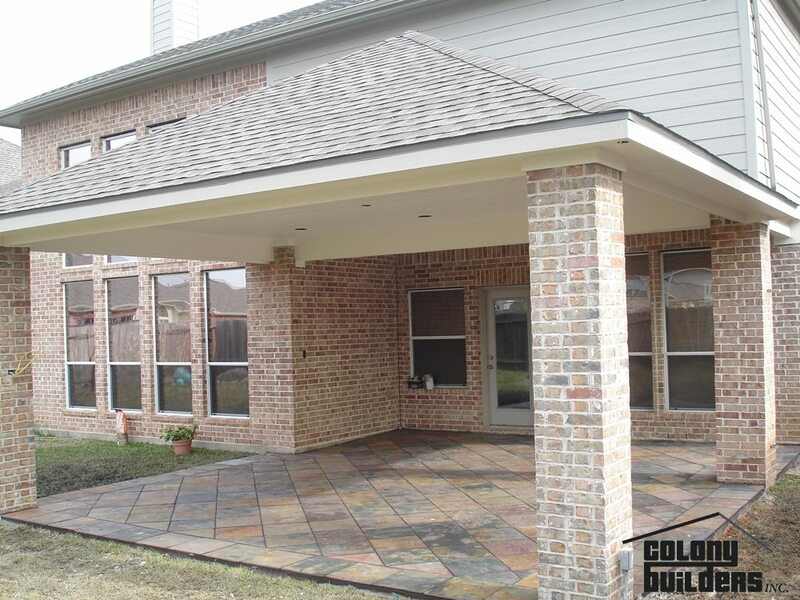 Led by Ali Zare, the company is proud to offer their award-winning services to the great residents of both Houston, TX and Galveston, TX with Ali's original concept still as the guiding principles at every job site. 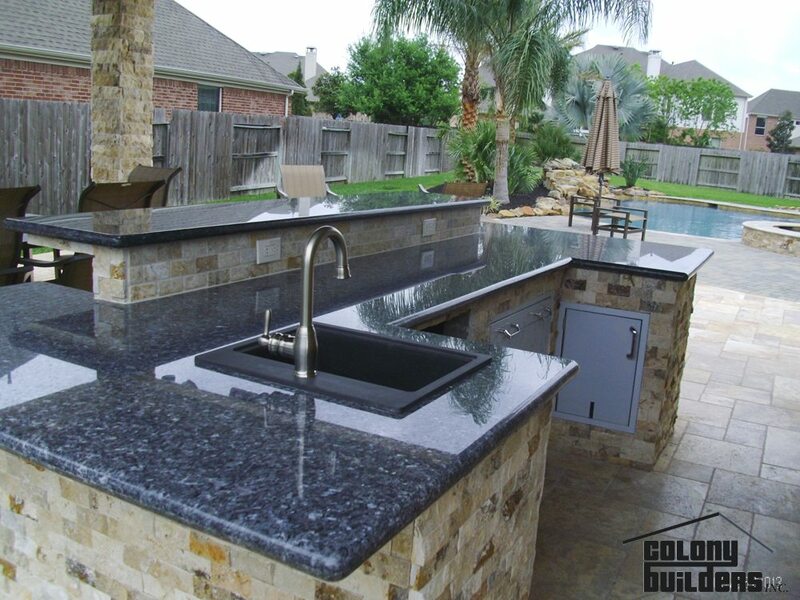 These services include kitchen remodeling, bathroom remodeling, windows & siding, additions, patios & sundecks and insurance claims. 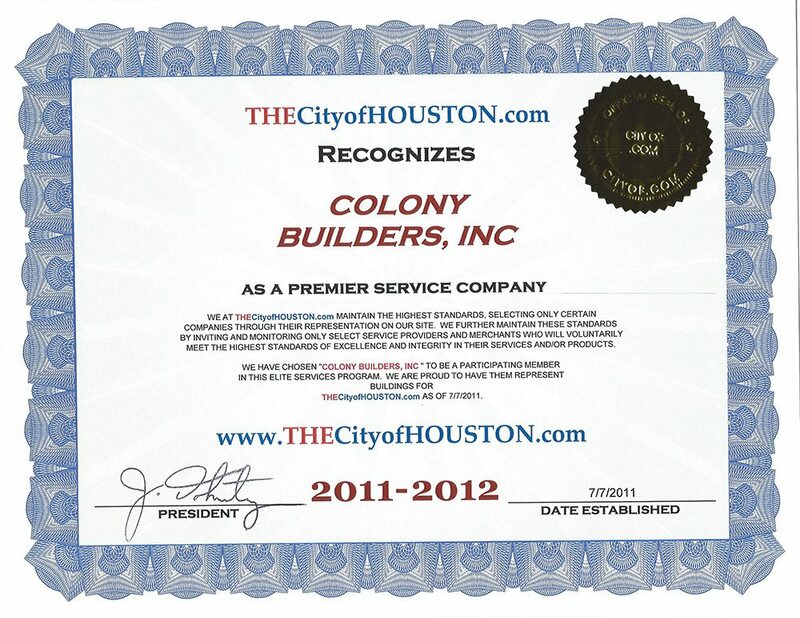 Our company has been in the community for years, and our owners are proud Houston residents. 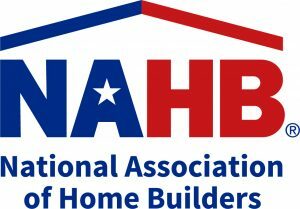 Currently, we are a member of the Greater Houston Builders Association, the National Association of Home Builders and the Texas Association of Builders. These memberships have been a meaningful connection between our team and the many awards we have won within these organizations is just a simple bonus. 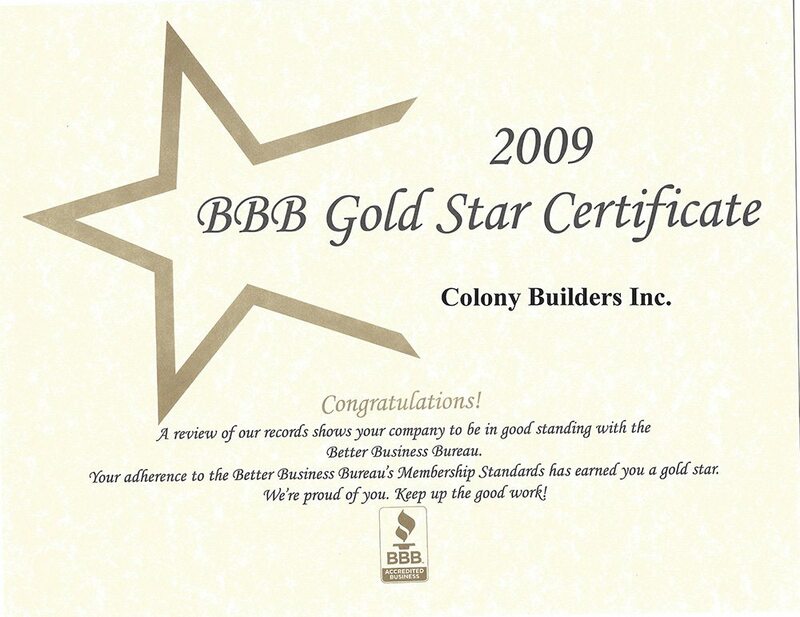 We are a locally engaged, and active construction company that is here for you. 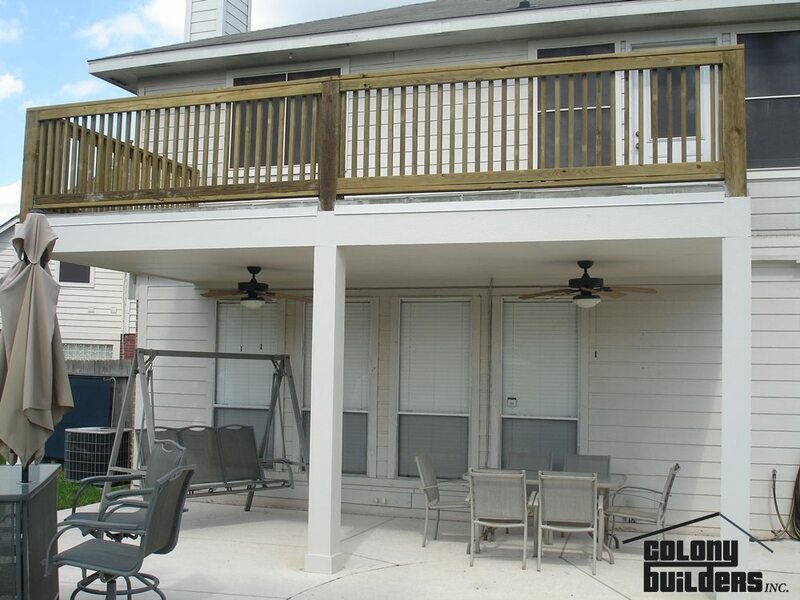 We hire local residents that are fully bondable and are true craftsmen of their trade. 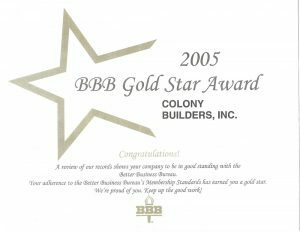 From our framers to our finishers, the team at Colony Builders is one of the best in the state. We have invested in our team and outfitted them with some of the best training and equipment that is available. 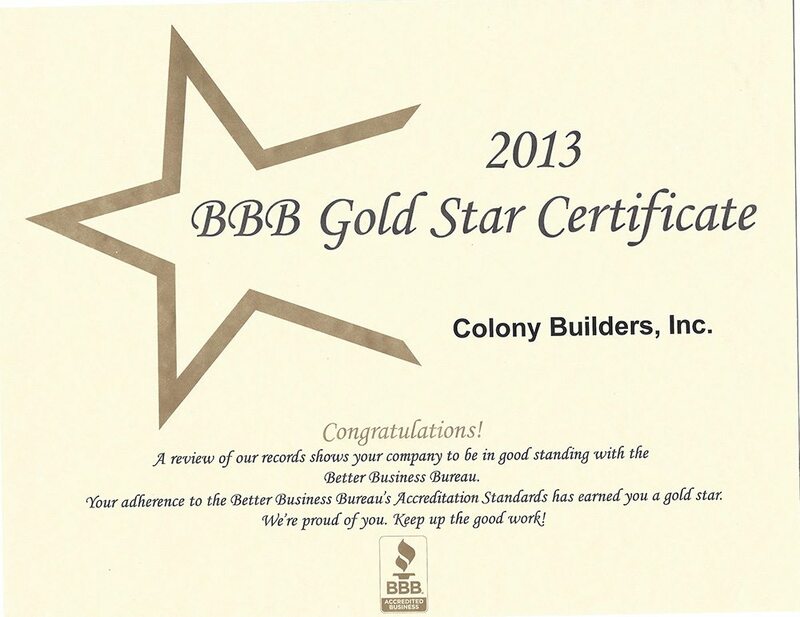 The end result is a team of accredited builders who will be able to make your space shine. 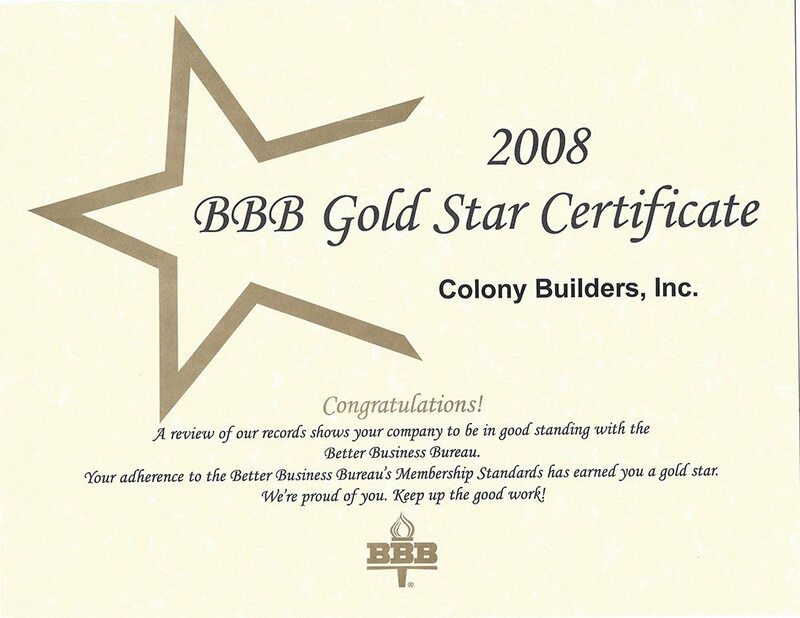 No matter if you are looking for a renovation or a new build, the team at Colony Builders is the team for you. 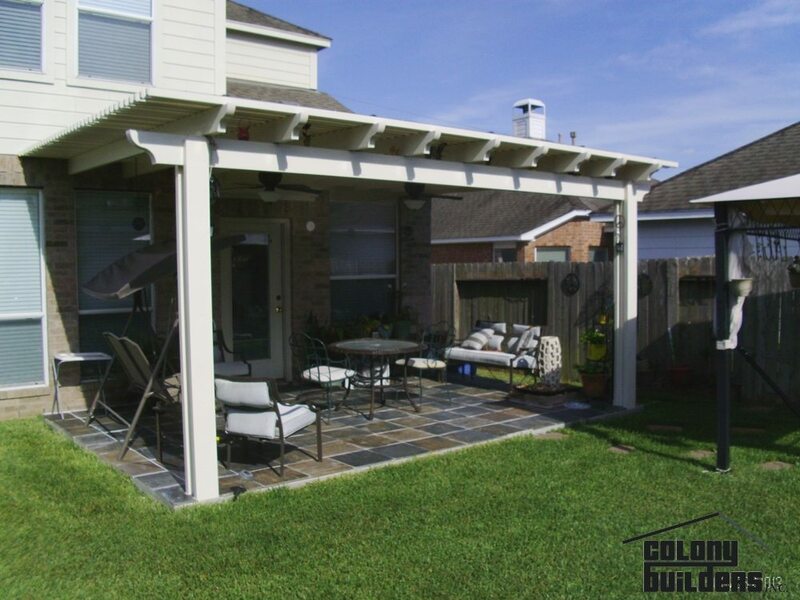 We are an active community member, with almost 30 years of experience helping the great people of Houston, TX and Galveston, TX. 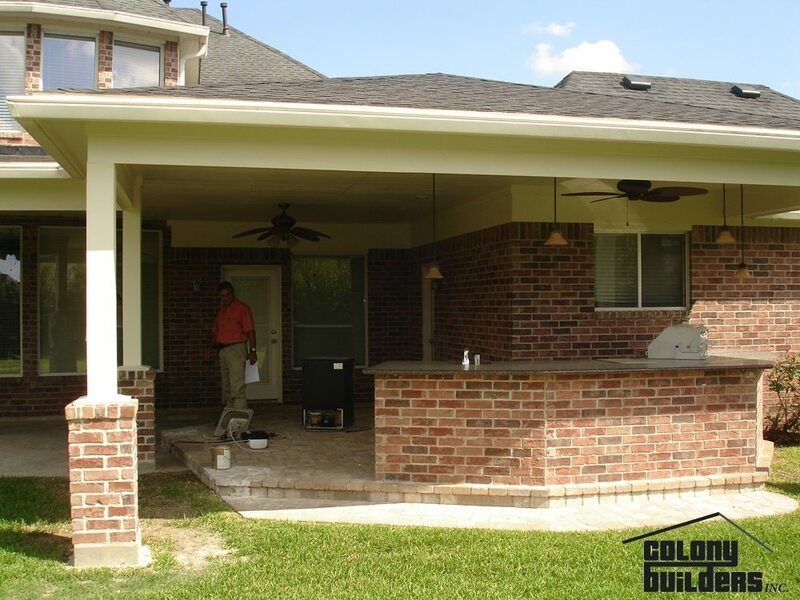 We cover the inside of your home with our kitchen remodeling, bathroom remodeling, and additions. 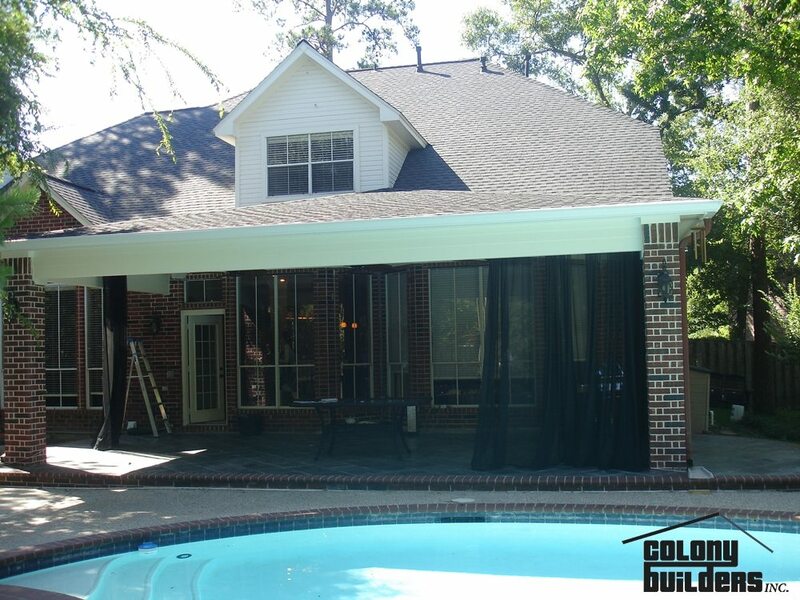 We cover the outside of your home with our windows & siding and patios & sundecks services. We even cover you in case you experience issues with our insurance claim services. 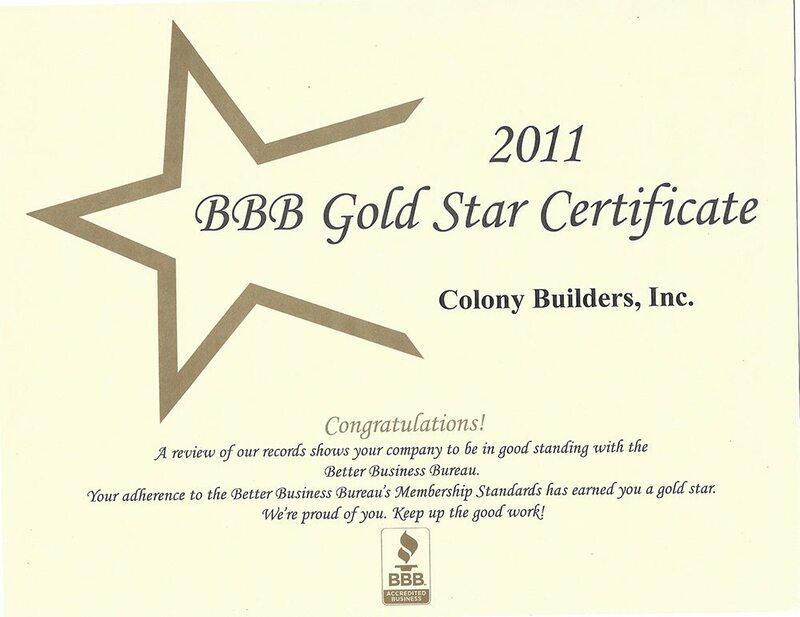 Simply put, Colony Builders has you covered, and the only thing we are missing is your call! “I dealt with Demitri (PM and salesman). 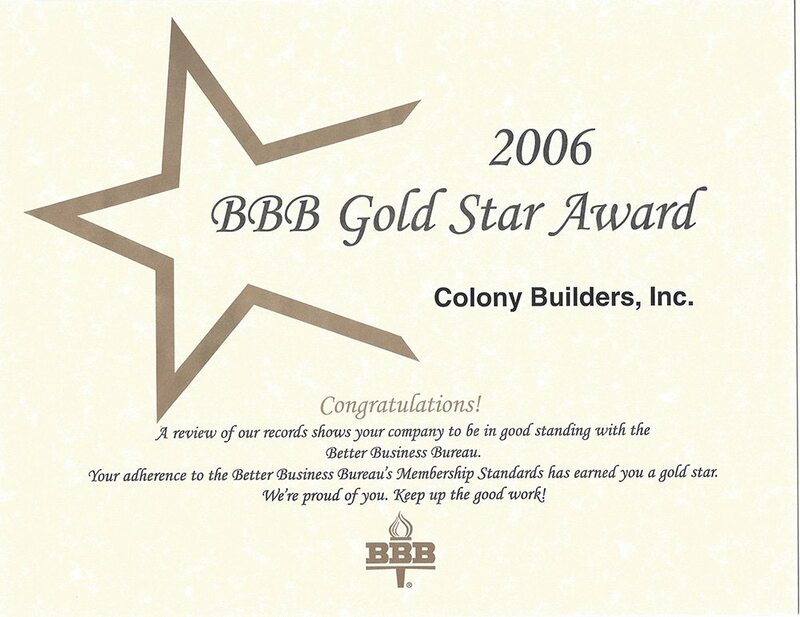 Colony builders Replaced my Siding and Windows. They were WAY cheaper than all the other quotes I recieved and did the job very well. I signed the contract on Tuesday they started the siding on Thursday and were finished installing and paining buy Wednesday of the following week. The siding looks GREAT! I also had them install Home Craftman windows. It took about 3 weeks for the windows to come in (manufacurer hold up) but then once they were delivered to C.B. they installed them the same day.